This page is a comprehensive list of all the official ways that we gather together and serve at our church. You’ll notice each item includes a contact person if you are interested in more information. This is the best place to find out how to get involved at All Souls! Our worship services are traditional, but highly participatory. We sing hymns with a pipe organ, and have lots of congregational call and response. It looks very formal, but it is accessible to any and all that want to join in. Even though we are traditional, we’re not exclusive. Our altar guild assists the clergy by preparing the elements, vessels, and linens for communion. They coordinate seasonal flowers for our worship space, and set up the altar for all eucharistic services. Our ushers help bring us into worship on Sundays by handing out bulletins and assisting people in finding seats. They collect the offering and do other small tasks that–while behind the scenes– are imperative to allowing us to come into the presence of God each week. Our choir practices weekly before the 11:00 service, and offers praise to God in song during that service. 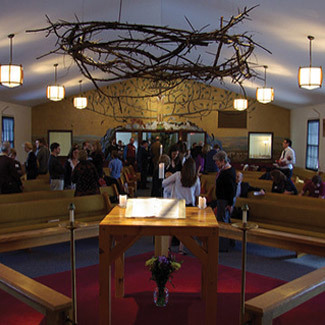 Our liturgical service is a manifestation of our community together: lay volunteers carry in the cross, candles, and Gospel, read the scriptures and the Prayers of the People, and help distribute communion. For the Souls who cannot make it to our doors on Sunday morning, we extend our reach by bringing the Eucharist to them. It is a beautiful time of worship that includes a short service as well as the opportunity to share fellowship and conversation with those who would, but can’t, be with us on Sunday mornings. This ministry is open to all who would to would desire to share the gift of communion to those who cannot be with us on Sunday morning. As an Anglican church, All Souls enjoys structuring its community life around the church year. We connect with this liturgical tool through our community celebrations and seasonal gatherings, such as All Hallows’ Eve, and the Feasts of St. Nicholas, Epiphany, and Candlemas. 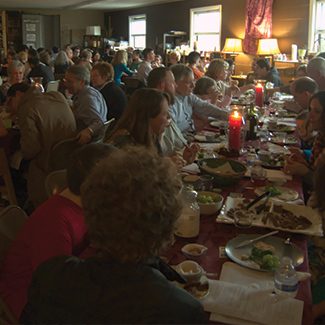 On special Red Letter days in the church year, we gather to either eat together, worship together, or otherwise celebrate the diversity of faith given to us in the church year. We also gather for seasonal activities outside our building such as apple picking and a trip to the Dunes. We continue to find ways for these days of celebration to draw us closer to our Creator. Our special needs ministry assures that all children are welcomed to participate in Education, Worship, and Fellowship. We partner with families to strategize how best to meet their child’s needs. This has included assistive devices, classroom “aides” and Shepherds for worship. For a week each summer, VBS brings children together to do crafts, sing songs, play games and learn how to live into the likeness of Jesus. A wonderful team of teens and adults joins in for the joy of serving kids from All Souls and the surrounding neighborhoods. 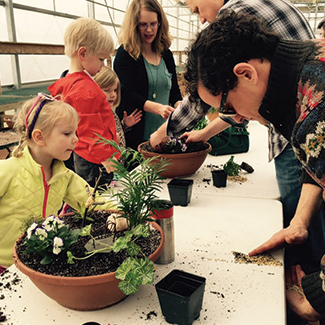 All Souls has a number of ways that we care for our own community in body, mind and spirit. After the service on Sunday, we welcome any who would like to receive individual prayer to come to the cross. Intercessory prayer is an opportunity to quietly minister to our church family in a loving & private way. This is a roughly once-a-month commitment to remain after the service. Ideally we serve in teams. No previous training required. It is our privilege to raise one another’s prayers not just on Sunday, but throughout our week. That’s where the prayer chain comes in. This confidential email chain is dedicated to pray alongside our church family for any need that arises. No need to go anywhere– this is an opportunity to serve from your own home! Our Soul Food ministry offers a chance to provide members of our All Souls family with a meal when they need it most: usually after surgery, a loss, or when welcoming a new life into the world. Once a need is made known, you will receive an email asking for meals on the appropriate dates, as well as essential information (such as any known allergies), and you volunteer for a meal. Then you deliver the food. It’s that simple! The goal of Souls on Mission is to help the All Souls community become the hands and feet of Jesus as we care for the least among us in our local community and serve international ministries which carry the Gospel around the world. First and second Sundays of the month are special: a group of people from our church go to the Immanuel Food Pantry in Warrenville to accompany the people who come to get food as they “shop.” The All Souls volunteers enjoy getting to know the “shoppers” as well as their fellow Souls. When a refugee family arrives in Chicago, a resettlement agency matches the family with an apartment and sets it up with furniture. 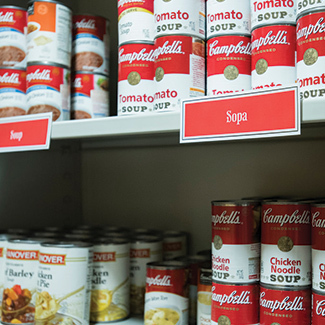 Through Exodus World Service, churches like All Souls provide a ‘Welcome to America’ pack containing food staples, blankets, pillows, pots & pans, and other essentials. All Souls provides this gift of hospitality and love in the name of Jesus. Our fellowship team organizes and runs the times and places where our community can connect with each other and grow together, including the coffee hour after every service and receptions after special events (like baptisms and ordinations). The fellowship team also keeps our kitchen clean and organized. Our communications team meets weekly to gather and disperse information about what is going on in our community so that people get connected with the ministries that they can serve with and be served by. Our space is maintained by an all-volunteer team of dedicated Souls. We ensure our space is clean and maintained so that we have a place to do the work that God has called us to do. Volunteers commit to about 2 hours of work every 5 or 6 weeks. We desire to welcome those who are new, answer any questions about our community, and make sure all become fully integrated into our family. While you can participate fully in the worship and education of the All Souls community without becoming a member, members have the privilege of voting at congregational meetings for vestry candidates, and in other ways helping to set the future direction of this congregation.